The SUNY College of Environmental Science and Forestry (ESF) will present the 2014 Sol Feinstone Environmental Award to Larry Master in honor of his professional and volunteer contributions to conservation and environmental protection. Master has cared for the environment and added to society's understanding of environmental issues throughout his career and his countless volunteer activities. He spent the majority of his career serving as a zoologist for The Nature Conser­vancy. He eventually joined NatureServe, a non-profit conservation organization that provides a network of natural heritage programs and conservation data centers as a source of information on rare and endangered species and threatened ecosystems. 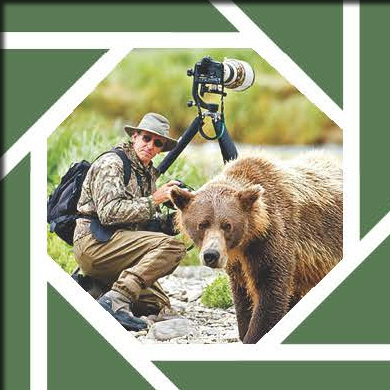 For more than 50 years, Master has practiced the art of wildlife and natural history photography. He donates the majority of his work to support conservation causes. His website, www.masterimages.org, offers high resolu­tion images and framed prints at no cost to conservation organizations that are working to conserve natural habitats or to curb greenhouse gas emissions. Master currently serves on the boards of NatureServe, the Adirondack Chapter of the Nature Conservancy, Northern New York Audubon, the Adirondack Council, the Adirondack Explorer, the Ausable River Association and the Northern Forest Atlas Foundation, as well as the Wildlife Conservation Society's Adirondack Advisory Group, the Advisory Group of the Biodiversity Research Institute, the Sci­ence/Recovery Advisory Board of Living with Wolves, the Vermont Center for Ecostudies Science Advisory Council, and the Mirror Lake Watershed Association. The annual Feinstone awards dinner will take place Oct. 16 at the Gateway Center on the ESF campus, Syracuse. The Feinstone program has made more than 100 awards, honoring individuals from across the United States for their significant contributions to protecting the environment, promoting the wise use and management of our country's natural resources, and promoting the spirit of volunteerism. Sol Feinstone, a widely known historian and author who was a graduate of SUNY-ESF, established the Feinstone awards program in 1976. His goal was to reward people and organizations that exemplified his belief that the best insurance for a free society lay in people's desire and ability to do voluntarily the things that need to be done for the good of all.